Sometimes I say stuff – remember I’m a talker – but I have no idea what I’m saying. I heard someone somewhere say it and it sounded reasonable, so I repeat it. I read a snippet about it and it looked good to me, so I share it. Or it’s something “they” say – and you know they are always right – so I say it too. Another one of those words is ‘karma’. Sounds like an interesting concept. A good idea. A word that can just easily be tossed out and it sounds right. A harmless word. And it’s trendy – all the cool kids say it. However, I’ve gotten a little smarter since the BFE incident. So I did a little research because I wanted to understand what I was actually saying. And this is what I learned. Karma is a spiritual concept found in the Buddhist and Hindu religions and is based upon the belief in reincarnation. The law of karma states that every thought, word or action – whether good or bad – will count in determining how an individual will be born in their next life on earth. It is the idea that how you live your life will determine your quality of life after reincarnation. So an individual with bad karma could be born many different times into a lower human status or even into lower forms of animals (which is why they are vegetarians because you can’t risk eating Uncle Elmer). An individual with good karma will “upgrade” their status in their next life. In Hinduism you have the ability to eventually upgrade to the Brahmin class and be released. Karma is believed to be the invisible power that balances the universe – giving people what they deserve because their past actions create their present state and their present actions will create their future. Through karma, you create the world into which you are born. In essence, karma teaches that individuals are in control of their salvation, which is their release from the cycle of birth and rebirth. I’m no theologian, but none of this seems Biblical to me. This belief abolishes grace by eliminating the possibility of forgiveness. It says I deserve the good things that come to me because I earned them, therefore denying the blessings of Abba and His goodness to humanity. It says that every bad thing that happens to me is my fault, denying the influence of a sin fallen world and an enemy who is out to steal, kill and destroy. It teaches the philosophy of past lives and more lives to come contradicting the truth that man only dies once. There are those who believe the idea of karma is found in the Bible in Galatians 5:6-7 Don’t be misled—you cannot mock the justice of God. You will always harvest what you plant. Those who live only to satisfy their own sinful nature will harvest decay and death from that sinful nature. But those who live to please the Spirit will harvest everlasting life from the Spirit. However, the enemy’s lie of karma is nothing like God’s Law of Sowing and Reaping. The Bible tells us receiving the benefits of godly choices takes place in this life, not in some future life. The Bible also teaches there are negative consequences for choices that are contrary to God’s principles. In addition, the sowing done on earth will affect the reaping in eternity – either in heaven or hell. So, with that in mind – I won’t be using the word karma. I can’t talk about something that I don’t believe in. And I can’t promote anything that is contrary to the Word of God. Now, to figure out what “oh for pete’s’ sake” means. I’d like you to meet our daughter, Danielle. She has some great thoughts and I’d like to share them with you. Let us know what you think! 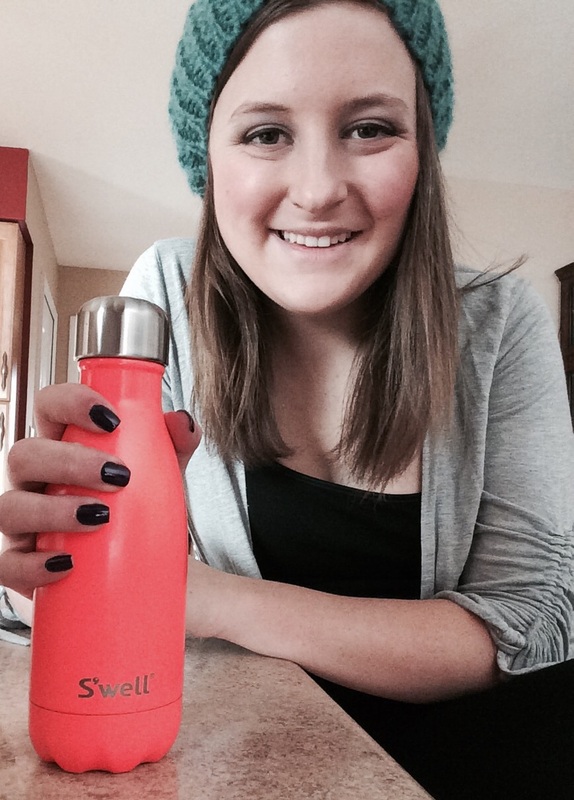 I have this water bottle that I greatly enjoy. It keeps my cold drinks cold for twenty-four hours and my warm drinks warm for twelve hours. I carry it with me everywhere. At the beginning of the day I put ice cubes in it and fill it with water and then I start my day. But I’m having a problem with it. It’s not helping me stay hydrated. Why? Because I don’t drink out of it. I carry it around when I walk from place to place in my office complex. It sits on my desk while I work. It’s sitting six inches from my hands as I type this. But I don’t drink out of the bottle. When I’m thirsty, instead of grabbing my bottle, I run upstairs and grab a Coke from the fridge which becomes room temperature in about thirty minutes. Or I head to the café to grab a coffee (which dehydrates me) that will turn cool in an hour. But my water bottle is sitting beside me, untouched. Instead I grab things that look more appealing but end up leaving me just as thirsty as I was before. Then I complain to myself.… “I am SO thirsty. I should go buy a soft drink.” or “I’m parched. I should grab a coffee!” All the while my ice cold water is sitting beside me, ready to quench my thirst. I have five Bibles. I HAVE FIVE BIBLES. I also have a version of the Bible on my phone (I guess you could say I have six Bibles). So, I literally carry my Bible everywhere. It comes with me to my office. It’s in my car with me. I take it to the café. To be perfectly honest, it even comes to the bathroom with me on occasion. My Bible is everywhere I am. But I’m having a problem with it. Why? Because I don’t drink out of it. I run to other things to gratify when I’m dry and expect my thirst to be quenched. I run to others for advice about a situation. I want someone to give me a ‘word’. I go to songs, movies, self-help books, and blogs to make me feel better, while the ultimate Thirst Quencher is sitting six inches from my hands. At the end of the day I’m dehydrated. I feel drained and my soul is parched. I feel empty. Then I sit and whine about how God doesn’t answer my problems. “He doesn’t respond to me when I talk to Him.” or “I feel like He’s ignoring me.” or ask “Where is God?” Yet I refused to consume the only Drink that would satisfy. I failed to realize He’s ready to pour me a Drink, but I missed it because I keep going to coffee bars instead of my Water Bottle. Drinking water (the liquid kind) takes discipline. Especially for someone like me who is attracted to flavor and bright colors. But if I go too long without water my skin dries up, I feel tired, I become confused, irritable, and my head hurts. It’s the same way with real Water. It takes discipline. And when I go too long without drinking in the Word of God, my spirit gets dry. I can’t let myself get spiritually dehydrated. I must pour in so I stay healthy and hydrated. So I have a reservoir to pour from. Now, if you’ll excuse me, I think I’ll go have a drink of water. Because it values quantity over quality. Because it makes reading the Bible seem like a project on your to-do list. Because it forces you to rush through chapters in order to stay on schedule. Because if you fall behind, you’ll never catch up and will more than likely give up. Because you probably won’t remember very much of what you’ve read at the end of the year. And what’s the purpose? Just to say you’ve read the entire Bible in a year’s time? I’m not so sure this is how it’s supposed to work. Don’t get me wrong. I believe in reading the Bible. I believe we should read it every day. I believe we should read all of it – every book, every chapter, every verse. But I don’t think it’s something to be rushed. And I don’t think it should be an item to be checked off your to-do list. Think about this: Colossians 2:3 says In Him [Jesus] lie hidden all the treasures of wisdom and knowledge. And John 1:14 says the Word became human and made His home among us. In Jesus, Who is the Word, are hidden all the treasures of wisdom and knowledge. The Bible is full of treasures. That’s just not something you hurry through. That’s going to take time to mine and excavate. Reading the Bible is like reading a love letter. You have to take the time to savor every word. Drink in its meaning and absorb the intent. You need to read and re-read passages and let Truth wash over you. You must soak it in, allowing it to water your dry and thirsty soul. Time is needed for meditation and rumination. Linger in His Presence and allow Holy Spirit to speak to you. Wait on Him to bring revelation and understanding. And when you’ve absorbed His Word deeply, you’re in a much better position to be impacted and experience change. You’re now in a position to actually do something with what you’ve read. You are positioned to encounter God and experience the supernatural. You’re positioned for intimacy with Him. But none of that will happen if the clock is ticking and you’re desperate to meet a deadline. You’ll miss the beauty and intimacy if you’re racing through. And how do I know this? Because I’ve done this. 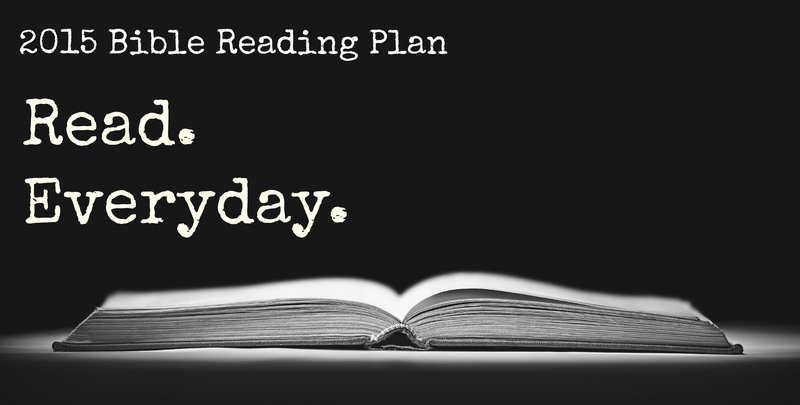 So I encourage you toss out that plan for cramming reading in a year. Instead, choose a starting place and begin to read, asking Holy Spirit for wisdom and understanding as you read. Read every day. Take your time. Stop and ponder. Cross reference for better understanding. Meditate. Write down your thoughts. Write down what you hear Him saying to you. Ruminate. The number of verses/chapters is irrelevant. Just read and let Him speak. Then return to that same place tomorrow, picking up where you left off. And read through that book again and again until you’ve exhausted it, drawing all you possibly can from it. You may read that same book for 4 months – that’s OK! You could spend a lifetime in that one book and never find all the hidden treasure there. Take your time. There’s no rush! And if it takes you three years – five years – to make it through the entire Bible, so be it.